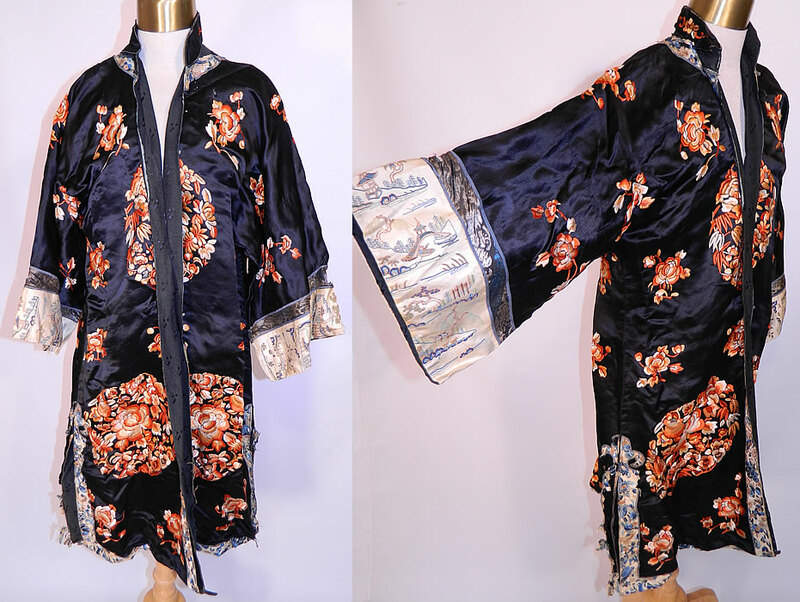 This vintage antique Chinese silk embroidered peach peony flower sleeve band cuff robe coat dates from the 1920s. 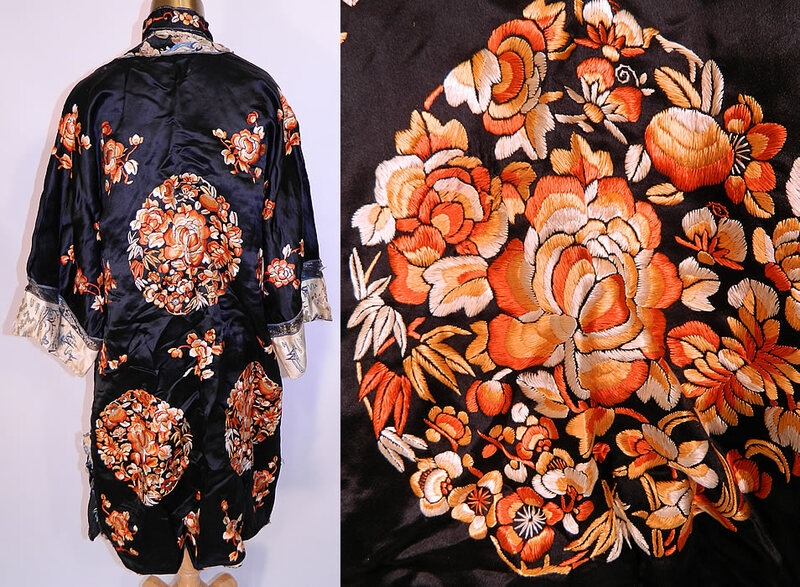 It is made of a black silk fabric, with orange silk raised padded satin stitch hand embroidery work of peaches and peony flowers with roundel medallions. 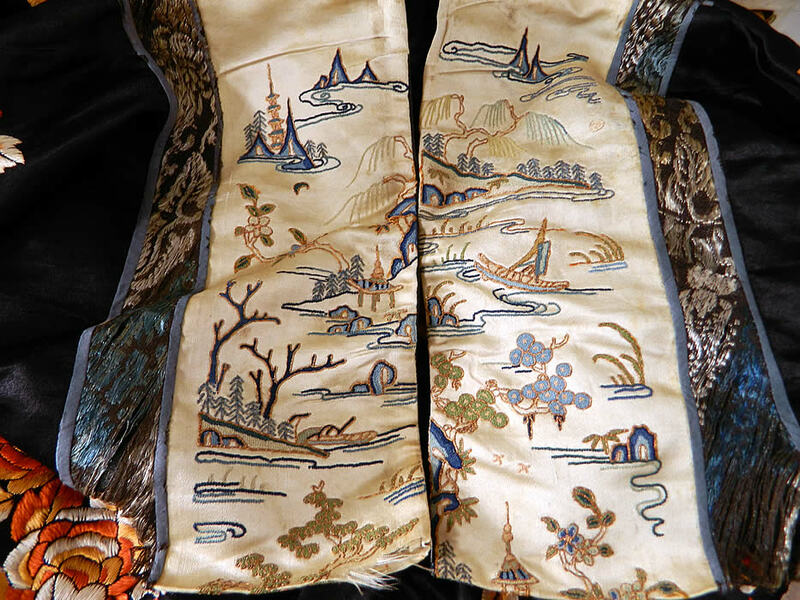 There is silk embroidered trim edging and wide white silk sleeve band cuffs with Peking knot forbidden stitch embroidery work garden scenes and gold metallic couching work outlines. 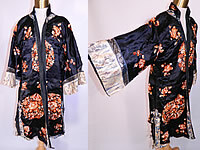 This long mid length robe style coat has a mandarin collar neck, open front missing closures and is fully lined. 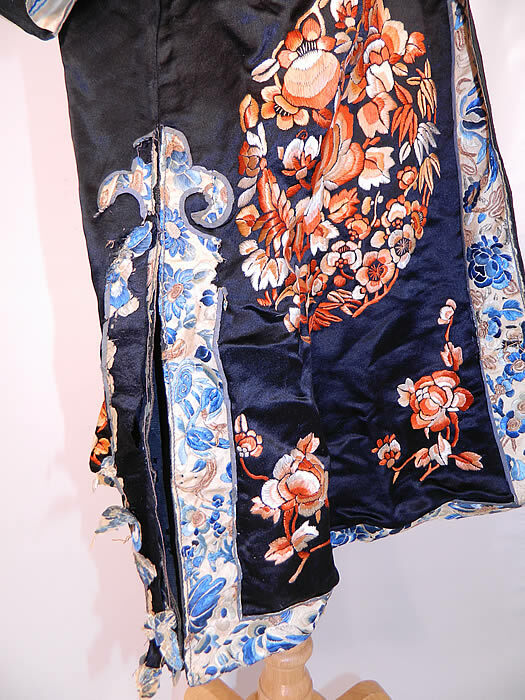 The robe measures 38 inches long, with 40 inch hips, a 40 inch waist and 40 inch bust. 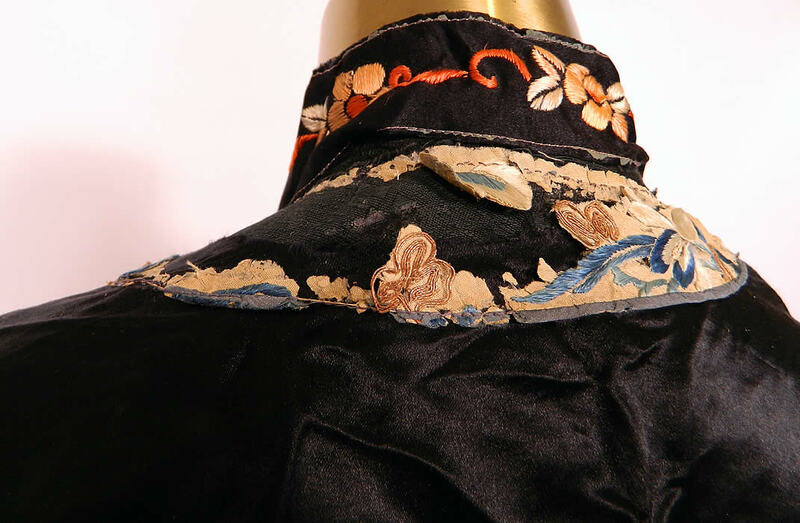 It is in as-is fair condition, with frayed trim around the collar, side vents and sleeve band cuffs (see close-ups). 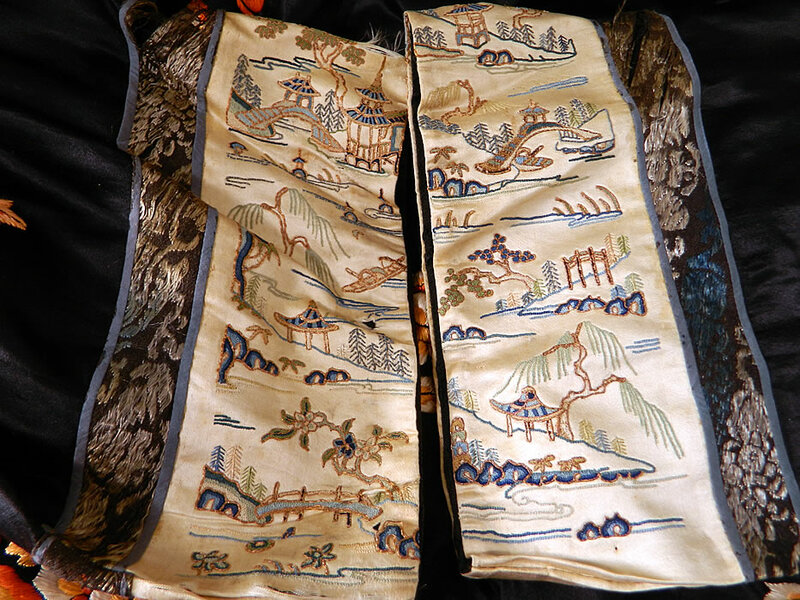 This needs some restoration, could be reworked and is still a wonderful piece of wearable Chinese art!